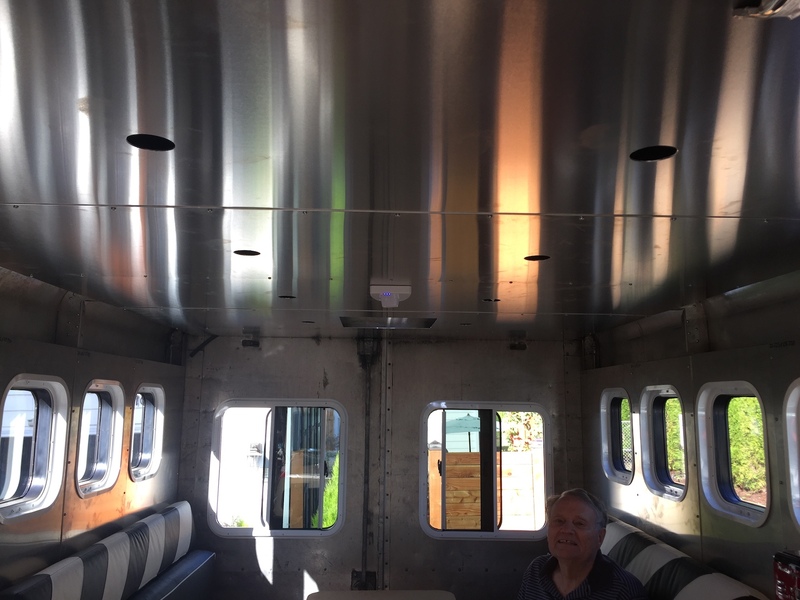 Yesterday we got the front ceiling panel (T1) cut and installed, and also trimmed its white plastic Fan-Tastic Vent garnish to the proper depth. For that we had to devise a special gig on the table saw. We couldn’t install the aft garnish because it was broken during shipping. So I’m trying to get a replacement from either Dometic or Camping World. Here’s a nice shot of the ceiling panels this morning, over coffee. It’s really starting to shine. And yup, that’s my dad. We also got the sliding padlock bolt installed on the main entry door. So the RETROvan is lockable for the first time. 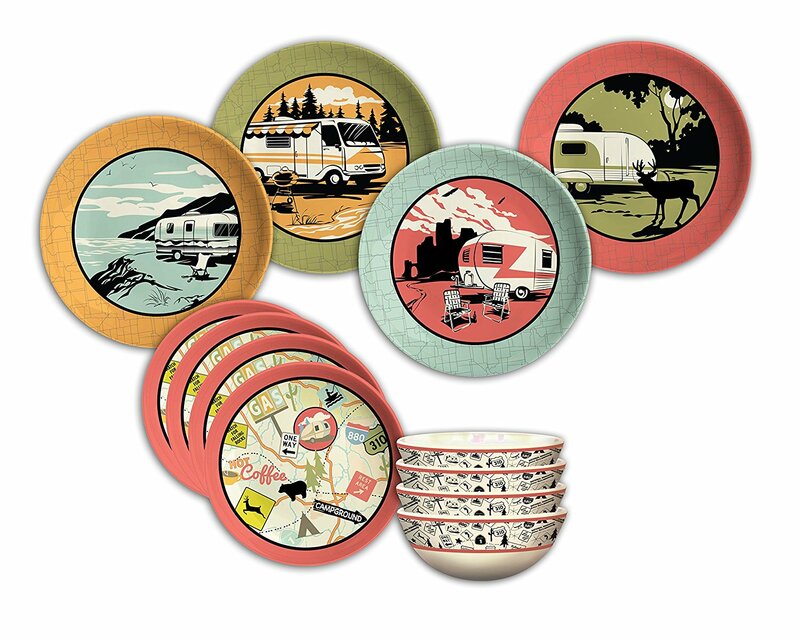 I got some cool retro dishes this week made by Camp Casual. 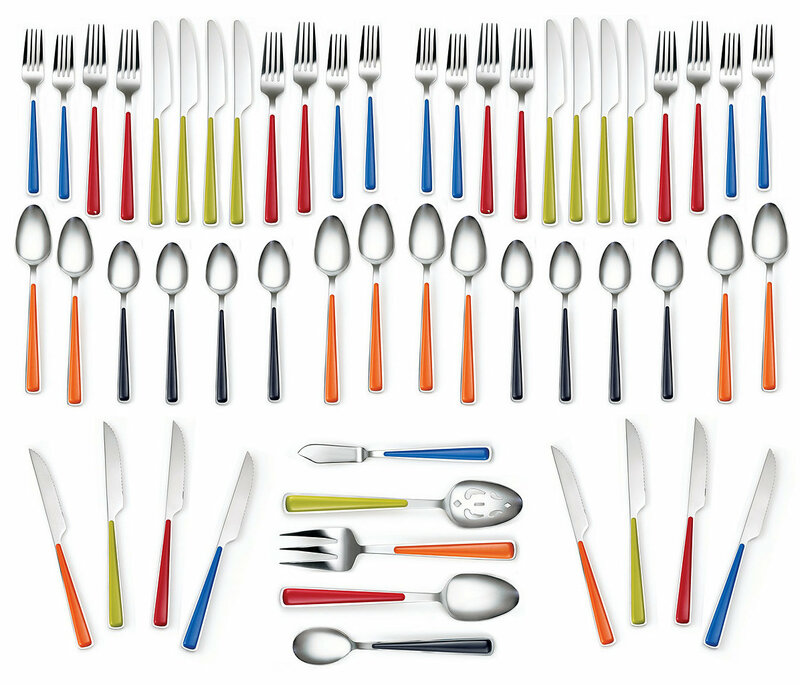 I also got a nice 53-piece set of Fiesta Merengue cutlery to stock the galley. I found it on sale at Macy’s for under $60. Great deal, and the colors match all the Fiesta dishes in our house. Today was the first, and most complex cement pour on the RETROpad. The truck showed up an hour early and it was too big to get into position without damaging any forms. So Gary had to transfer the first fifteen feet of both sides by one-man bucket brigade, which was back-breaking work. The weather was ideal but there was about 120 feet of faces to strip and finish. And that’s a lot for one man to do when racing against time. But Gary slaved non-stop for 6½ hours and got ‘er done. Unfortunately the high-strength mix set up faster than he thought, so the front faces of the steps will get a patch coat tomorrow to fill in some rough parts. That’s done with a special cement-only mix that adheres a bit like mortar, as long as you do it before everything cures. 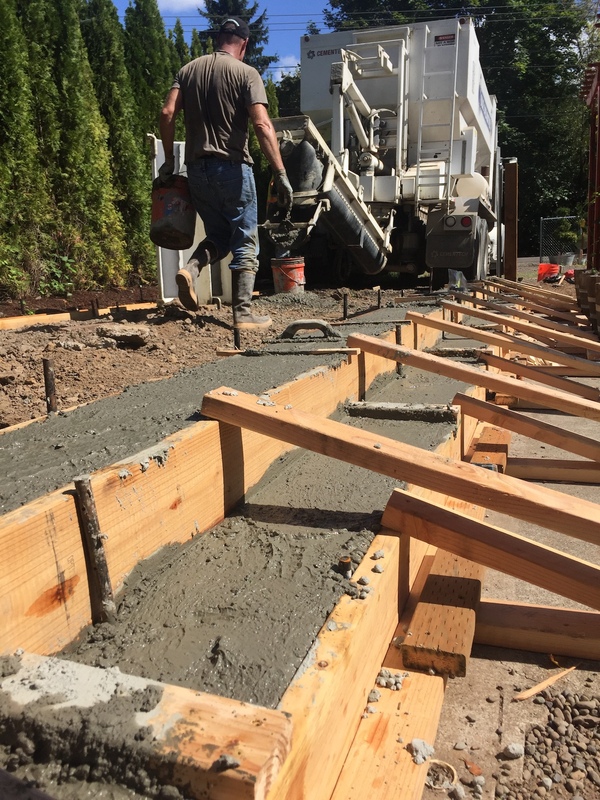 This 2½ yards of cement cost a whopping $374, but we’ll need a second pour for the actual pad between the curbs. We should be ready for that next week, after grading. Everything is reinforced with rebar to support the weight of an RV.